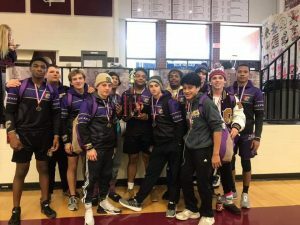 Congratulations to the Varsity Wrestlers on finishing Runner-Up in the 2018-2019 Region 5-AAAA Traditional Championships this weekend at Central HS!!! I am very proud of what these guys have accomplished this season. This is the first time since 1992 that the Canes have finished Runner-Up in the Region Traditional Tournament!!! This group has really done an outstanding job this season, and we aren’t through yet!!! Let’s continue to work hard and focus on our goal of qualifying all 10 wrestlers from the Varsity Team to the State Tournament next weekend!!! Our Women’s Team will also be travelling to the Sectional Tournament this weekend for their State Qualifying Tournament. This tournament was not on the original schedule that I handed out to parents of the Women’s Team at the beginning of the season because the GHSA changed how they were entering women into the state wrestling tournament. After seeing the number of young women that hydration tested at the beginning of the season, it was clear that there were too many to be able to bring every female wrestler to the State Tournament. The new plan is to limit this number to 16 wrestlers per weight class (same as the boys tournament). The method of selecting which 16 wrestlers will make it to the State Tournament is through the Sectional Tournaments across the State. There are 7 classicications (A through AAAAAAA) and each of them has 2 Sectional Tournaments happening this weekend (2/8-2/9). Those 14 tournaments will each have a women’s bracket in addition to the boys tournaments already being hosted there. The Women’s bracket tournament champions from each weight class will be guaranteed entry to the state tournament! The state also recognizes that some of the weight classes at a few of the tournaments may not have any entries to the women’s tournament. In order to try to fill all of the Women’s Brackets at the GHSA State Championships in Macon next weekend, the state will be adding the 2nd place finishers from the brackets that have the largest # of participants from across the state. They will do this until the the brackets are full at 16 women per weight class at the GHSA State Tournament. I will be attending a Seeding Meeting this Sunday (2/10) and I will know for sure which women from our team will be participating in the State Tournament next weekend. The best way to guarantee your participation is to win your bracket this weekend!!! Congratulations to all of you for completing your 2018-2019 wrestling season in good standing!!! This is no small accomplishment, and you should be proud of what you have done!!! If you would like to move on to your Spring Sport, you may do so starting this week with our blessing!!! 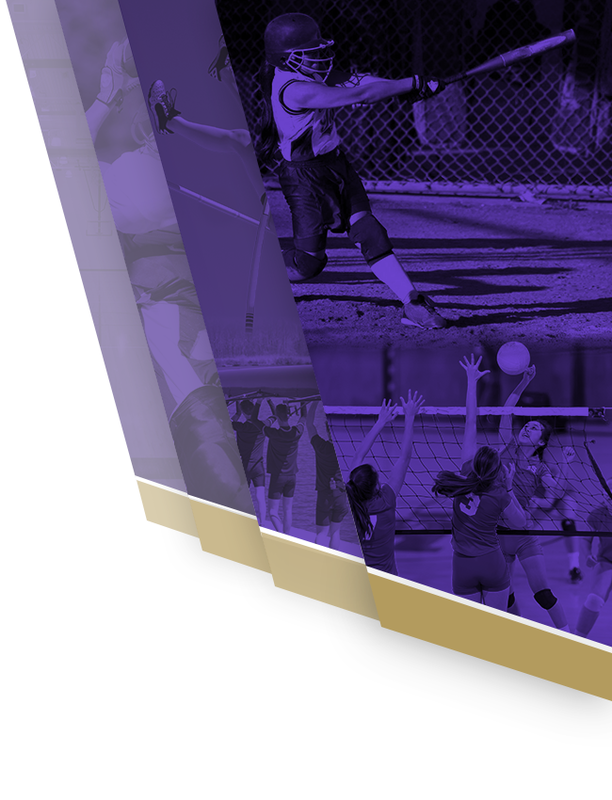 We strongly encourage all of you to pick up a Spring Sport. If you don’t know what sport you should compete in, please stop by and talk with Coach Gayton. 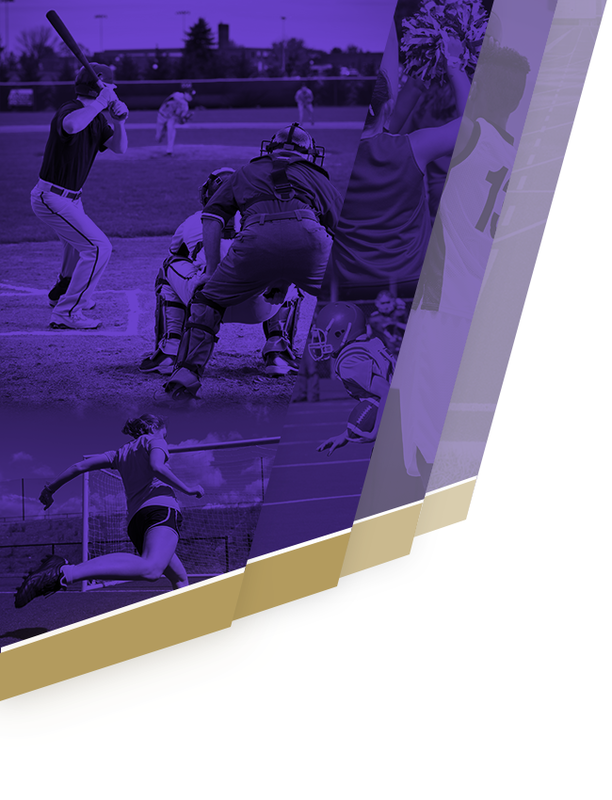 There are several options: Baseball, Soccer, Track & Field, Tennis and Golf. We encourage our athletes to compete in other sports and would love to see you representing CHS in a Spring Sport!!! You are also welcome to continue practicing with the team as a drill partner for the Varsity Team. This will help you develop for next year as well. The choice is up to you. However, if you are going to stay, we ask that you participate every day. If you are going to be here one day and gone the next, we would rather you move on to your spring sport. Thank you all for your participation this year and we look forward to having all of you back next season for what is sure to be another great year!!! *Please return any team items you may have: singlet, alternate singlet (fight shorts & compression shirt), 1/4 zip jacket, and headgear) as soon as possible. Make sure you have Coach Gayton or Coach Putnam mark you off the Checklist so you don’t get charged for your items!!! Any items not turned in will result in a hold on your grades that will not be released until the items have been returned or the replacement cost is paid. If you need to know the replacement cost of an item, contact Coach Gayton. If you choose to keep any of the above items, that is okay too, as long as you pay to replace the item in the team inventory. The choice is yours. *The Team Gear that you paid for: Purple Hoodie, Black Sweatpants, Purple T-Shirt, Black mesh shorts, and Backpack) are yours to keep. If you have not paid your balance on these items, please bring your payment to Coach Gayton as soon as possible. If you do not pay for your items, a hold will be placed on your grades that will not be released until the balance is paid. As a Team, we finished Runner-Up in the Region 5-AAAA Traditional Championships this past weekend! This was the first time since 1992 that Cartersville has finished as Runner-Up in the Traditional Tournament!!! This year’s team has really raised the bar with their performance and I couldn’t be prouder of them!!! Thank you to Mr. and Mrs. Neal for providing lunches for the team at the Region 5-AAAA Traditional Championships this weekend!!! Varsity Team going to Sectional: Tyler Earick, Giles Turner, Joshua Alvarez, Eoin Neal, Kentrel Freeman, Jabril Williams, Shadre Hurst, Desmond Winters, Rashun Hurst, and Collin Buffaloe. Women’s Team going to Sectional: Elora Waterman, Raven Waterman, Destiny Smith, Maci Cagle, Riley Payne, Aisia Swim, Gabby Walker, and Paige Nelson. The Team will be bringing a school lunch with us for the wrestlers to eat after weigh-ins are completed. If you would like more than a school lunch, make sure you bring it with you. A concession stand will be available at the tournament. Weigh-Ins will be conducted by GHSA Officials and will be VERY STRICT!!! Make sure you have your fingernails clipped, clean shave, hair cut above the eyes/ears (or bring a hair cover/bonnet), mouthpiece (if you have braces), any brace you wear (shoulder, knee, etc. ), headgear, singlet, shoes, and any other items you need to wrestle. If you have any skin issues, please let me know ASAP so we can get you checked out by a doctor and get a clearance form if possible. We have not had any issues so far this season, but if anything pops up, we need to be prepared. If you have a medical diagnosis for any braces that you wear (shoulder, knee, etc.) please bring that with you, just in case anything comes up with the officials. You MUST show the officials any braces that you plan to wear in the match during weigh-ins!!! If you fail to meet any of these expectations, you could be withdrawn from the tournament!!! The goal is to win 2 matches BEFORE you lose 2 matches…if you do this, you will qualify for the GHSA AAAA State Traditional Championships next weekend!!! If you lose both matches on Friday night, you will still wrestle on Saturday for the alternate position (9th place). If you win both matches on Friday night, you are GUARANTEED to go to State!!! Mat 1 – 106 lbs. – 126 lbs. Mat 2 – 132 lbs. – 145 lbs. Mat 3 – 152 lbs. – 182 lbs. Mat 4 – 195 lbs. – 285 lbs. As soon as our last wrestler has finished their last match, we will load the bus and head back to the hotel. Dinner will be brought to the hotel and everyone will be able to eat in the lobby (if available) or in their rooms, whatever their preference is. The team will stay together, so please do not ask to take your wrestler out to eat dinner with your family on Friday night. Breakfast will be provided at the hotel before we leave to go to West Laurens HS on Saturday morning. Wake up call will go out at 5:30 AM to each room. Weigh-Ins @ 7:00 AM – 8:00 AM. In order to Qualify for the GHSA AAAA State Tournament, the wrestler MUST finish 1st, 2nd, 3rd, 4th, 5th, 6th, 7th, or 8th Place. The wrestler who places 9th will be an Alternate that may get the opportunity to wrestle in the State Tournament, but not guaranteed. If any wrestler does not finish in the top 9, their season is over. No wrestlers that do not qualify to wrestle in the GHSA AAAA State Tournament will travel with us to Macon next week (2/13-2/16). Information about the State Tournament will be sent out in next week’s newsletter. As soon as the last competitor’s match is over, we will load the bus and start our journey home. ALL wrestlers will ride the bus with the team back to Cartersville. Please do not ask to take your wrestler with you if you come to West Laurens to watch the tournament. We will be stopping somewhere on the way home to eat dinner. I am not sure as to where that will be, yet…either Macon or McDonough, depending on the time that we are passing through, and how hungry everyone is. If you can afford to, please send money with your wrestler for this dinner. It will probably be a buffet, so I would estimate $15 to be safe. I will post a message on Remind once we know for sure where we will be stopping. I will also send a Remind message when we leave the restaurant that should give you about 2 hours heads up for our return time. This week, ALL wrestlers will be on locker room and wrestling room clean-up duty, as our numbers have dropped with the end of our regular season. Please allow for approximately 15 extra minutes after practice for your wrestlers to complete their duty before they are ready to be picked up. Thank you! Thank you to our Corporate Sponsors!! !